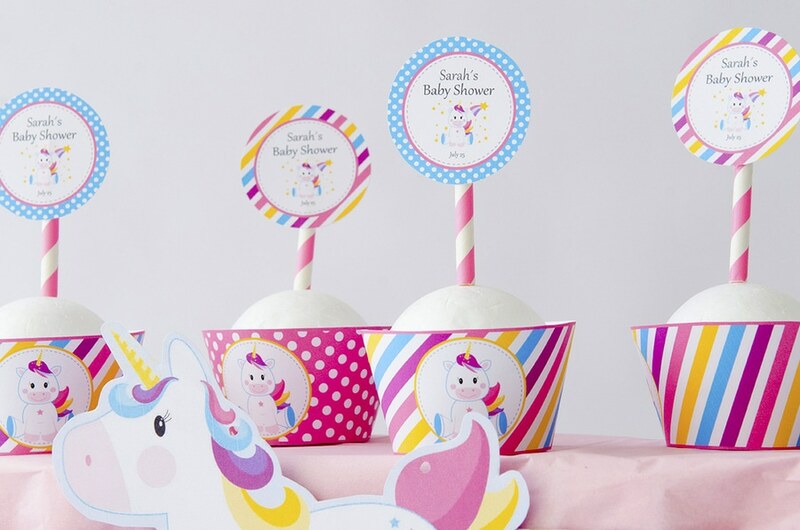 It is time for a Magical Unicorn Baby Shower Party Set. 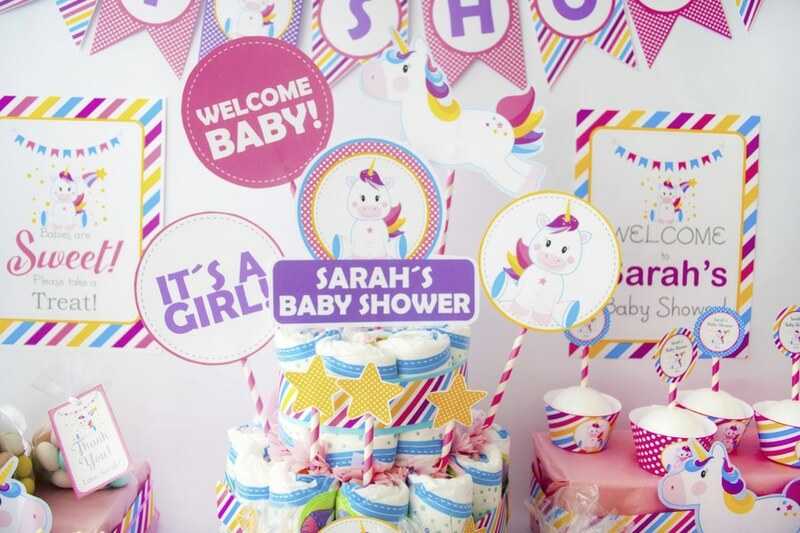 If you are looking to create the perfect baby shower with the Unicorn theme, you are in the right place. 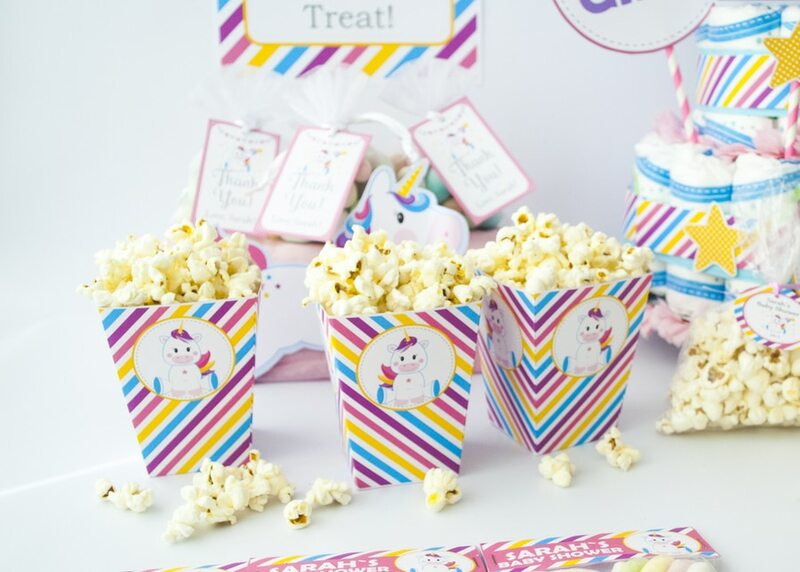 It is a not a secret that unicorns are very popular in the world of parties at this time because they are colorful parties and perfect for a cute little girl who is coming to the world. 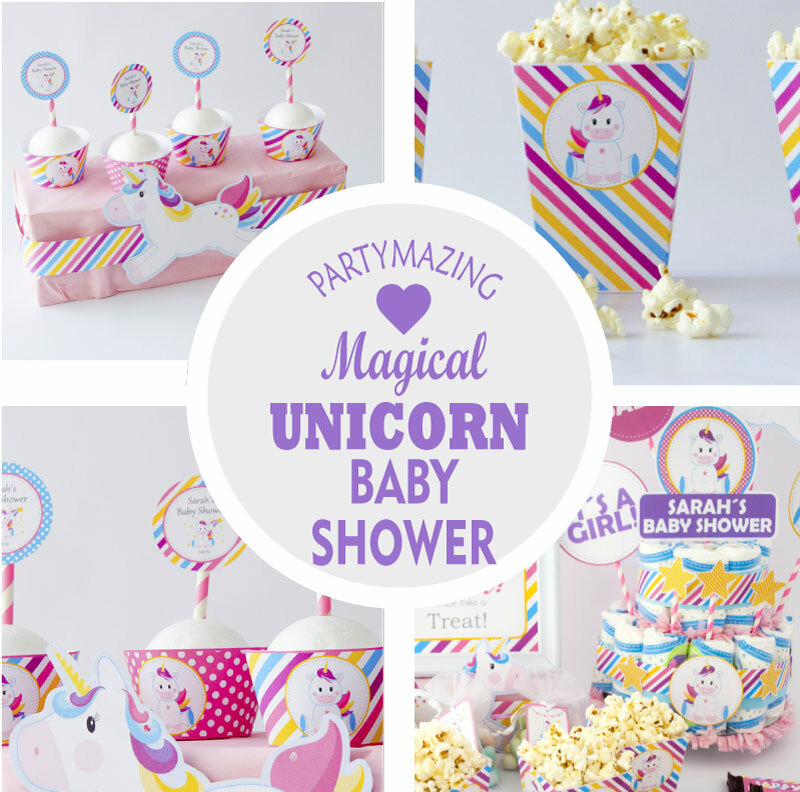 You have to let your imagination fly and with a little help from Partymazing, you can use this Magical Unicorn Baby Shower Party Set to create the perfect baby shower for your best friend or for someone special. 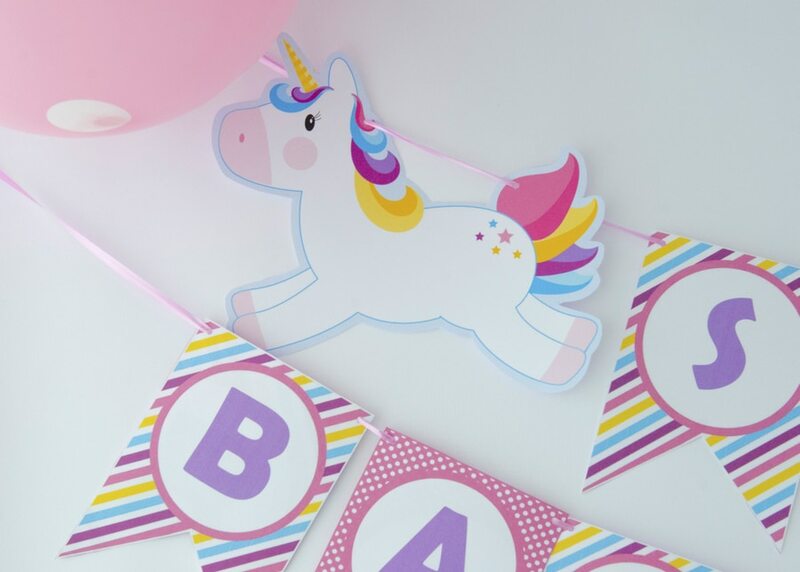 It has been a while since I talk about my favorite creatures, Unicorns!!! 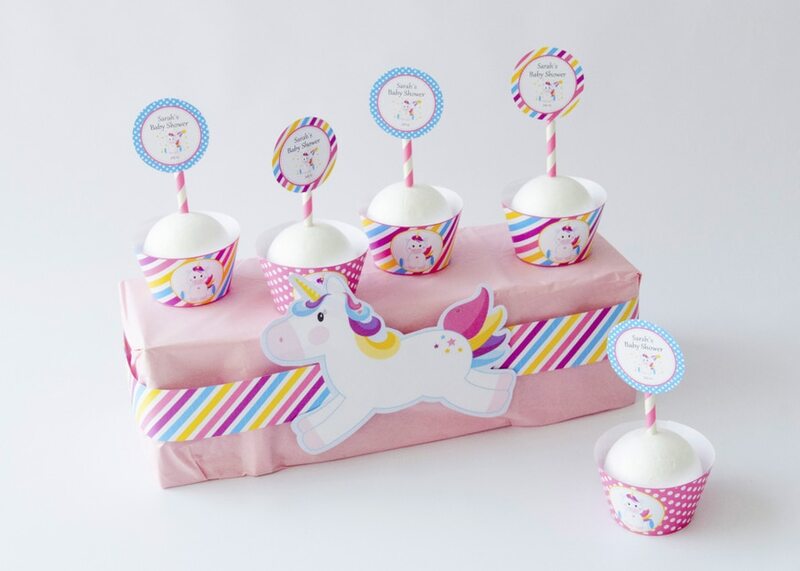 Last post I did was the Unicorn Party Cake Ideas and I know you love it! 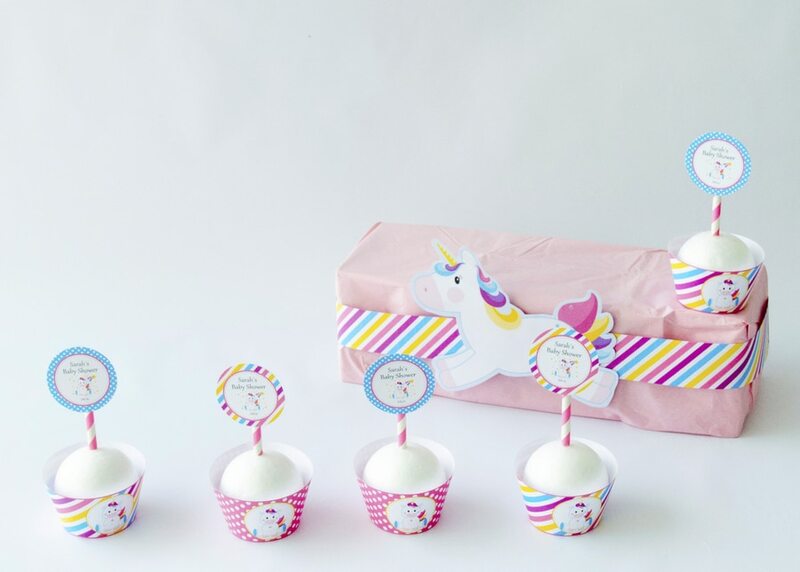 Unicorns symbolize love, magic and the possibility of a better world. 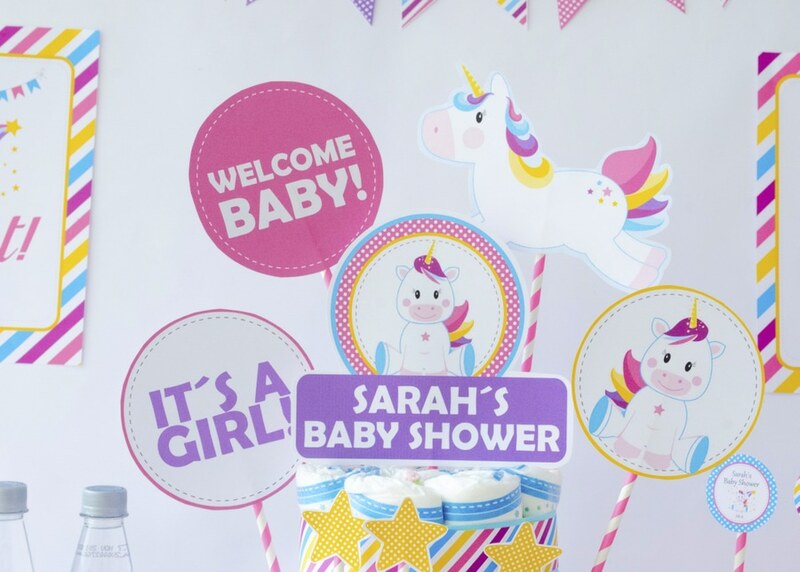 That’s why I wanted to get into the task of creating the perfect baby shower unicorn party to celebrate the arrival of a little girl. 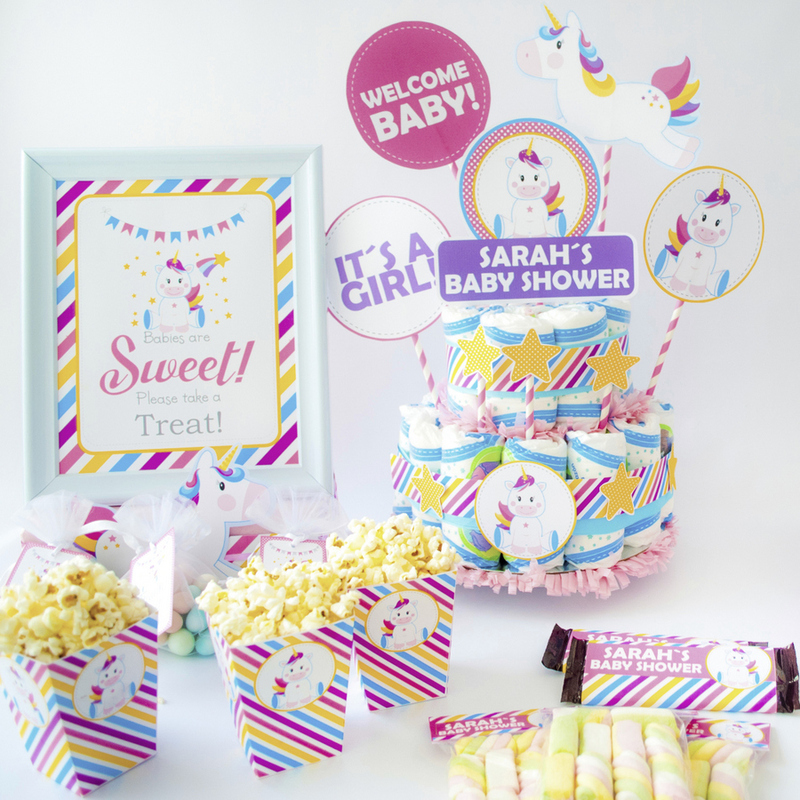 You can use this Magical Unicorn Baby Shower Party Set to create a magical party to welcome a new baby using this set that includes everything you need for your party. 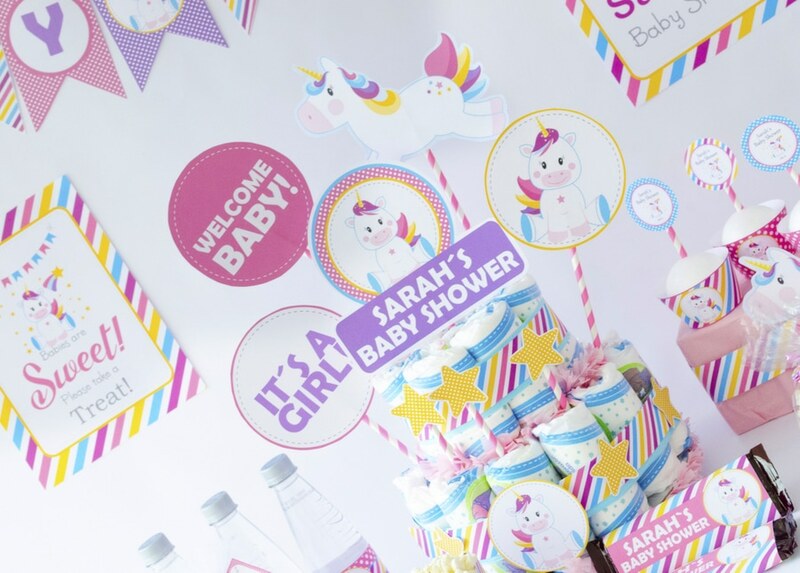 In the set you will find a colorful variety of elements that will create the perfect event and add color to the celebration. 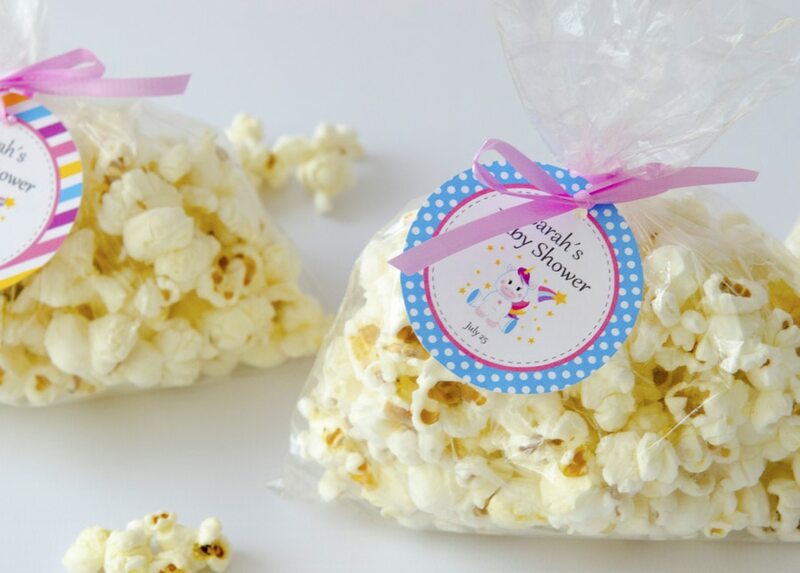 Make this day a wonderful and special day, full of fantasy and magic a day. 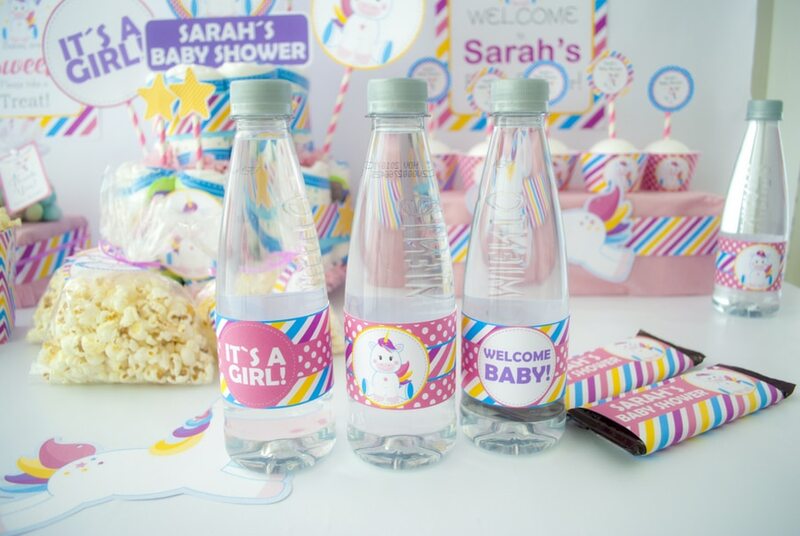 Do not forget to tell everyone that you are celebrating the arrival of a little girl. 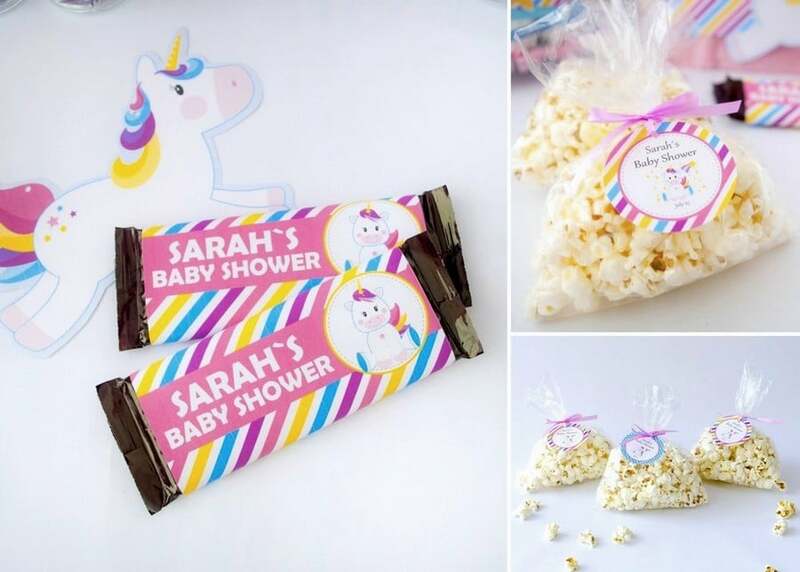 Tell everyone you are going to celebrate the arrival of a little girl by sending a cute unicorn invitation. 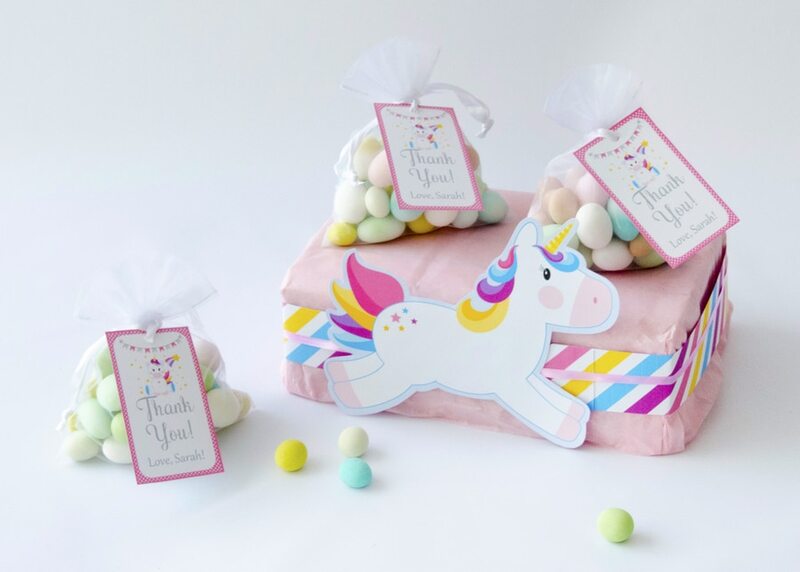 Make this celebration something magical and cute at the same time. 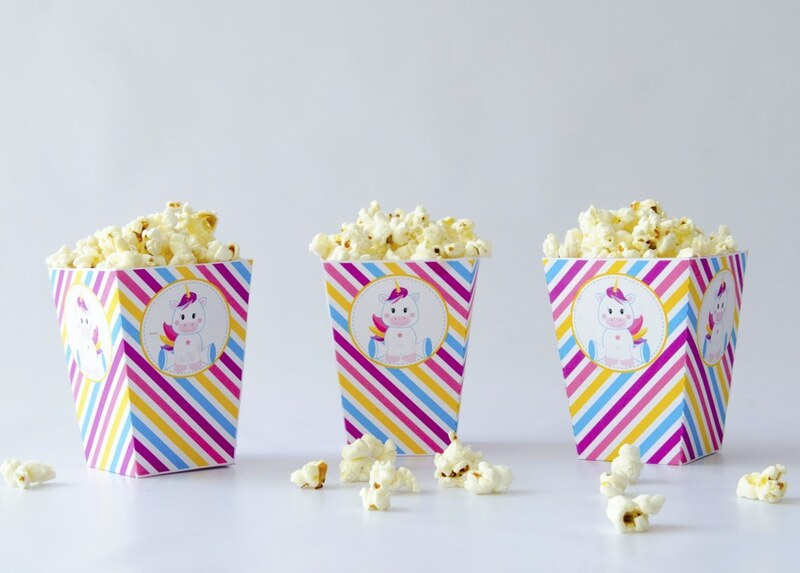 Ready to start decorating? 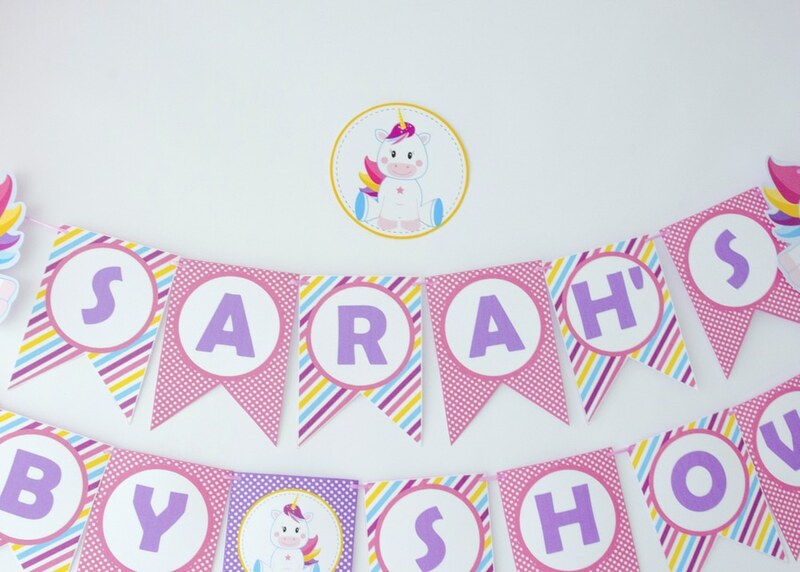 You are going to need white cardboard, the printer of your house or some place of printing, a good Scissors, ribbon or cord and your creative hands to create the perfect event. 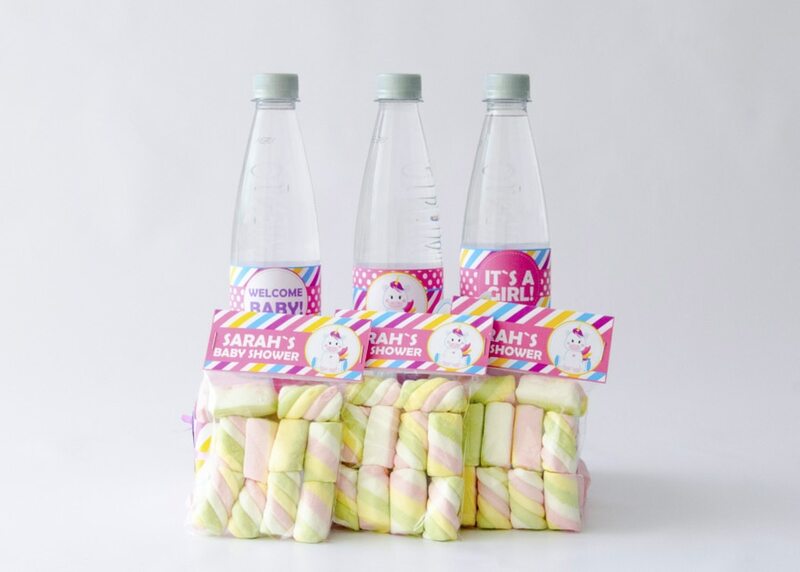 You can even invite your friends to help you create the decoration in a tea afternoon. 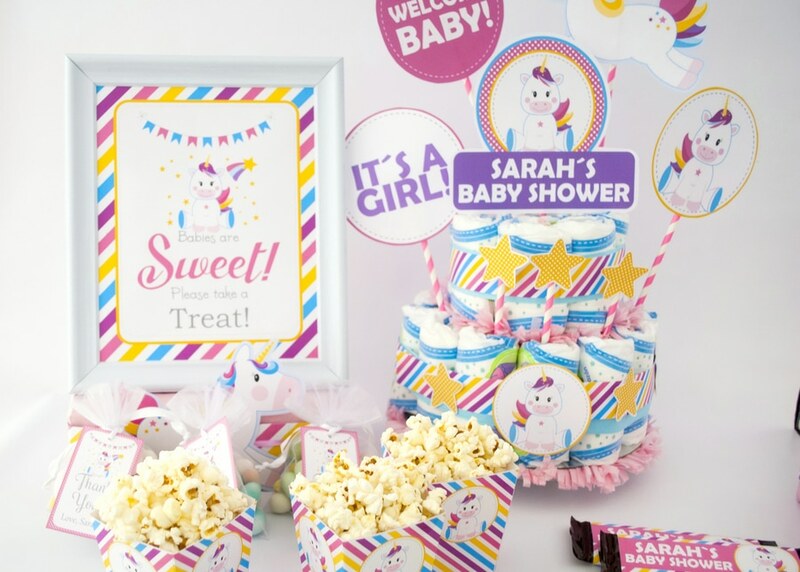 All the texts of this set are editable texts, as a result, it will be very easy for you to personalize the party with the name of the future mother or Little girl that is on the way. Every detail is colorful and beautiful. 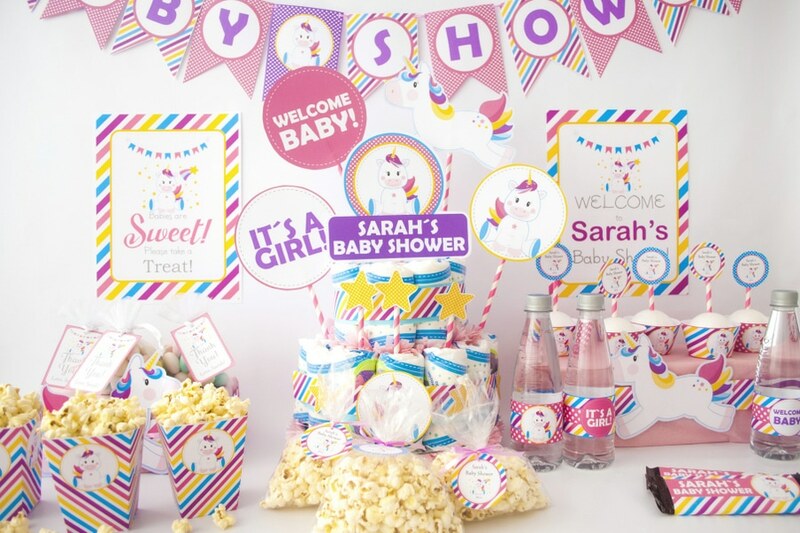 Tell me what you think about this party and what other theme you think is cute for an upcoming baby shower. 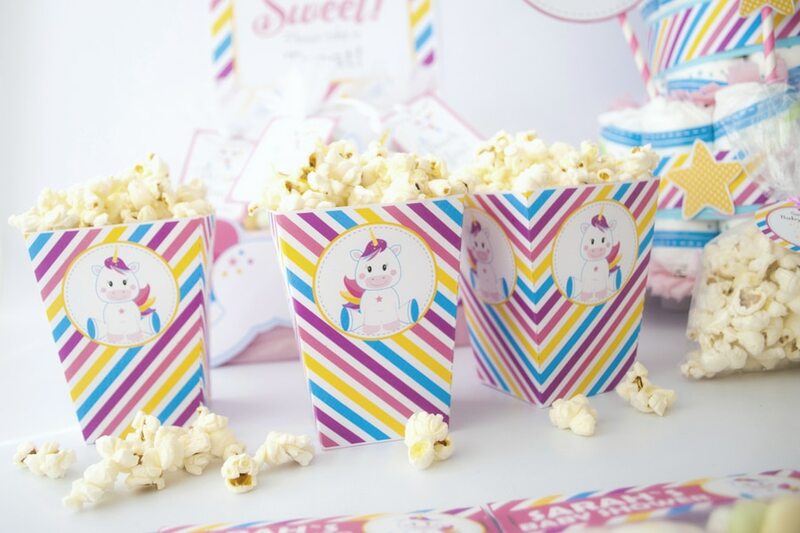 Comment or visit my Instagram for more inspiration for your next party. I want to thank my friend Valentina from @vvelascophoto She help me with the amazing photography that you can see in this party.